With 20 seconds remaining in Super Bowl XLIX, an undrafted rookie cornerback from the University of West Alabama stepped in front of an undrafted wide receiver from Fort Valley State University and caught a football that was not intended for him. Roughly 40 yards away stood Tom Brady, who, like the rest of the world, was fixated on what had just transpired between two players few people watching the game had ever heard of before. Though Brady was one of the 114 million spectators watching the Super Bowl at that point in time, he had far more on the line than those of us sitting in our living rooms. 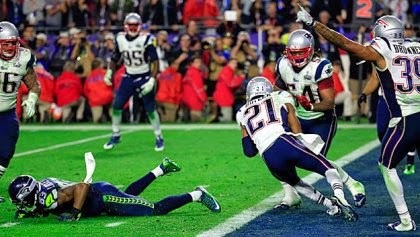 The ironic thing is that in that particular moment, Brady had as much of an impact on whether or not Malcolm Butler caught that football as those of us watching at home, but the fact that Butler did indeed catch that football will have a lasting impact on how we ultimately define Brady’s career. Without that interception, it’s entirely possible (even probable) that the Seahawks score the game-winning touchdown and Brady loses his third Super Bowl in six attempts. Hardly a ratio to scoff at, but instead of talking about Brady as the best quarterback ever, we’re talking about how he hasn’t won a Super Bowl in over a decade and how he was outdone by Eli Manning and Russell Wilson the past three times he reached the big game. I’ve written about our need to define a player’s career in black and white and ignore the gray areas as it relates to Peyton Manning, and it’s no different for Brady. We try to take what just happened and ‘make sense of it,’ or ‘put it into historical context,’ when doing so is often a fool’s errand. Given how many outside factors contribute to whether or not a team wins a game (not to mention differences between eras in the NFL), it can be borderline irresponsible to draw conclusions about players and their careers based simply on the outcome of one game. But, if we want to actually have a conversation about these things, it’s the easiest and often only way we can. Is Tom Brady any less of a quarterback if Seattle ends up gaining one more yard? Does anything that happened while he was sitting on the bench during those final two minutes reflect on his ability to throw a football or lead an offense? Of course not. And yet, his fourth Super Bowl victory, which was sealed by Malcolm Butler, further validates Brady and his career. The maddening truth of it all is that football legacies, like life itself, are not a simple thing to quantify. The successes and failures we encounter in our lives are also dependent upon outside factors to a certain degree. Running into the right person at the right time may be the difference between an incredible career opportunity that takes you half way around the world or continuing to live your life as you had for the last six years. 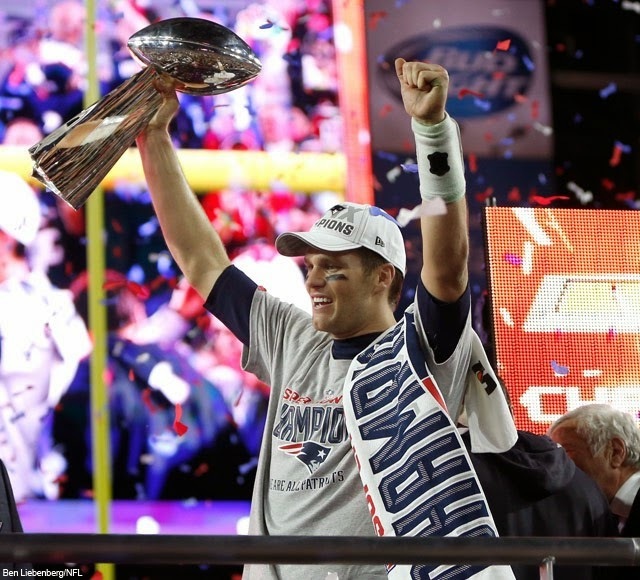 Just as Tom Brady did in Super Bowl XLIX, we all play a big role in the successes and failures of our own lives, but just as we saw an unknown cornerback make the deciding play that won the game, it can be an unlikely encounter, seemingly lucky event, or a chance you decided to take that ultimately tips the scale one way or another. At some point we should probably accept that these things are a bit more complicated, and prone to chance, than we might be comfortable with admitting. We might feel a lot better about things if we did. Extending Tom Brady’s experience to our own lives, perhaps we should all be striving to simply get to our own personal Super Bowl (whatever that might be) and have our theoretical team winning with two minutes to play. At which point, we’ve put ourselves in the position for a Malcolm Butler to come along and give us that last little push towards greatness. The more I think about it, trying to do anything contrary borders on insanity.